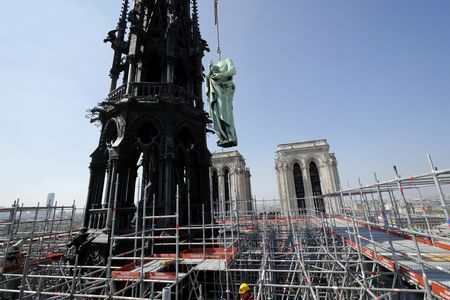 Home / ENGLISH / France / Fire devastates Notre-Dame Cathedral in Paris..!! 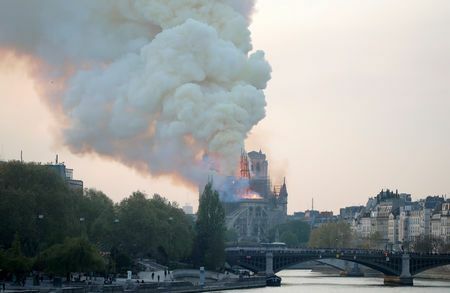 Fire devastates Notre-Dame Cathedral in Paris..!! 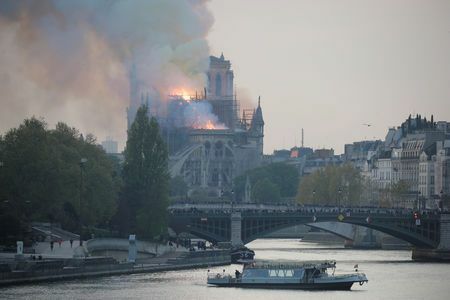 PARIS (Reuters) - Notre-Dame Cathedral went up in flames on Monday in a roaring blaze that devastated the Parisian landmark, one of France's most visited places. 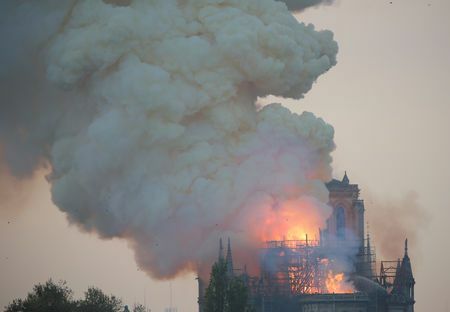 Flames burst through the roof of the centuries-old cathedral and quickly engulfed the spire, which collapsed. A huge plume of smoke wafted across the city and ash fell over a large area. 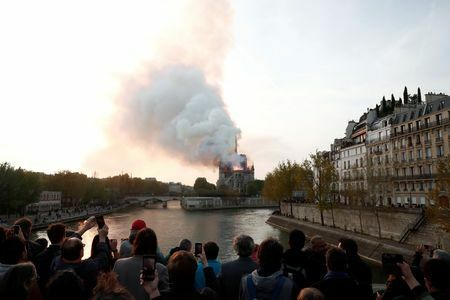 "Everything is collapsing," a police officer near the scene said as the entire roof of the cathedral continued to burn. Firefighters cleared the area around the cathedral, which marks the very centre of Paris. Buildings around were evacuated. President Emmanuel Macron cancelled an address to the nation that he had been due to give later on Monday evening. A presidential official said Macron was to go to the scene of the blaze. 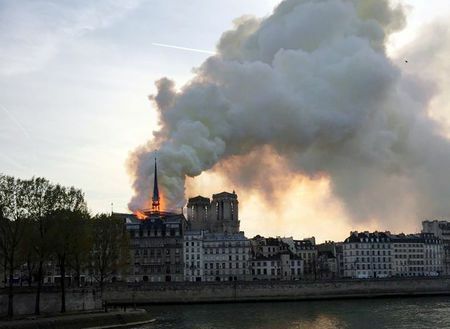 "A terrible fire is under way at Notre-Dame Cathedral in Paris," Mayor Anne Hidalgo said on Twitter. France 2 television reported that police were treating the incident as an accident. The cathedral, which dates back to the 12th century, features in Victor Hugo's classic novel "The Hunchback of Notre-Dame". It attracts millions of tourists every year.